The Nigerian National Petroleum Corporation (NNPC) has signed a Memorandum of Understanding (MoU) with the Ondo State Government to establish a 65,000 million litres bio-fuel plant in Okeluse, Ondo State. 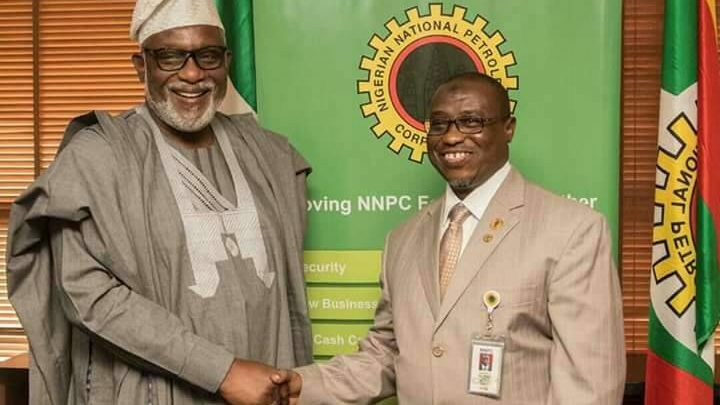 The NNPC Group Managing Director (GMD), Dr Maikanti Baru, said this when he received Ondo State Governor, Oluwarotimi Akeredolu on a courtesy visit. This is contained in a statement issued in Abuja on Tuesday by Mr Ndu Ughamadu, the corporation’s Group General Manager, Public Affairs Division. Baru explained that the plant and other projects such cassava feedstock production would create at least one million direct and indirect jobs. According to him, the project would be partly funded by some investors bringing in Foreign Direct Investment into the country. Baru reeled out other benefits of the project to include reduction of fuel import and greenhouse gas emission, and boosting the production of animal feeds from by-products of the plant. The GMD also allayed fears of any possible negative impact of the plant on the supply of cassava-based foods for human consumption. He explained that the cassava to be used for the bio-fuel project was a special breed that would not interfere with the activities of farmers cultivating other breeds of cassava or crops. ”We have already discussed with you and you have agreed to make 15,000 hectares of land available towards the cultivation of this cassava. ”It will, of course, in the process invite people who are used to farming cassava as well as new entrepreneurs who want to go into that business to participate in the cultivation of the cassava that we are going to use for the production of the fuel ethanol. ”We expect that this plant, when built, will be producing at least 65 million litres per annum of ethanol that could be blended into our Premium Motor Spirit (PMS) and will be used in Nigeria and neighbouring countries when exported,” Baru said. He disclosed that the bio-fuel project would be fitted with a 40 megawatts electricity plant that would also supply power to the host communities. The GMD said NNPC intended to commercialize the greenhouse gas emission reduction capability of the project to win carbon credit for the nation from the international community. He added that it would also make money from such by-product as industrial starch and others which would be converted to animal feeds to boost food production in the country. ”The benefits of this project to Nigeria and specifically to Ondo State are immense and NNPC is very eager to see it implemented. ”We are working with the investors who will invest because there are several dimensions to the project,” he said. Earlier, Gov. Akeredolu, assured that the state had enough farmers as well as cassava to sustain the bio-fuel plant, stressing that his visit was to show his commitment to the project. Present at the signing of the MoU were officials of Nigeria Export-Import Bank, New Partnership for African Development and National Oil Spill Detection and Response Agency.